Just as Los Angeles residents know traffic and Chicagoans know snow, Beijingers know how to navigate bureaucracy. Yang is a retired schoolteacher and native Beijinger, and she has learned how to steer her way through the Chinese capital’s enormous public hospitals, crammed with the relatives of patients from all over China who came to seek the best care in the country. When her son, 32, developed chordoma, a rare cancer that grows along the spine, she knew how to work the system to see the only specialists available. Her son fell carrying a pail of water down the stairs one day in May. The doctors initially said he might have fractured a bone and sent him home. But then, a few days later, he had trouble urinating. Further exams showed the tumor at the base of his spine, which the doctor said had reached the nerves. Removing it would require a major surgery, one that could leave him permanently disabled, a doctor at Beijing’s Jishuitan Hospital told Yang, who did not want to give her full name out of worry that her own parents, who don’t know about their grandson’s diagnosis, might find out. “I was very conflicted [about the surgery], and I was hesitant. Our child, after all, is still young, and he needs to be able to live a quality life,” she said. She thought she had found an alternative when she came across a webpage advertising a treatment in Japan. Yang’s son is just one of tens of thousands of Chinese opting for medical care abroad. As the country’s urban middle class has grown richer, its medical facilities have failed to keep pace. 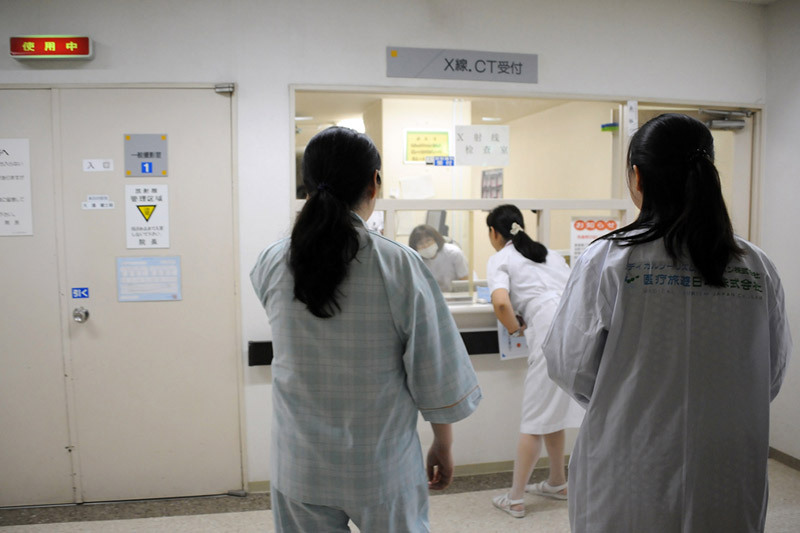 China’s medical system is notoriously overburdened—doctors and nurses are overworked, and the patients are unsatisfied. While top-tier cities such as Beijing have access to better medical resources, staff in many hospitals are also wildly underqualified by global standards; around half of all doctors, according to a study in the Lancet, lack even a bachelor’s level of education, instead qualifying for their posts through limited vocational courses. That pushes patients toward the big cities, where the waits are exhausting and dozens of patients often clamor for a single doctor’s attention. With pay low, bribery is common, both in payments from pharmaceutical firms and gifts extorted from patients. That has contributed to a surge of violence against doctors in recent years, with disgruntled family members of patients attacking medical professionals. A 2016 report from Xinhua, the state news agency, said that there were 4,599 recorded “security incidents” in hospitals in 2014. As a result, hospitals have closed-circuit cameras, alarm systems, and security guards, further alienating patients. In the last few years, a rapidly growing medical tourism market—largely dedicated to relatively simple trips for plastic surgery or routine examinations—has sprung up, geared toward high-end consumers. While there are no industrywide figures, China’s largest travel platform, Ctrip, found that people took 500,000 medical-related trips in 2016—five times the number from the previous year. That figure is expected to grow to a million by 2020, said Thibaud Andre, an analyst at Daxue Consulting. But very little of that is going to the United States. Instead, Chinese consumers are turning to Europe and Japan. Yang had never even heard of chordoma when doctors gave her son the diagnosis in June. She had to ask the doctor to write down the Chinese characters for the disease. Later, she spent hours researching the illness online. During this time, they scheduled a surgery for her son, who was convalescing at home. When she found the webpage claiming a noninvasive proton therapy treatment that didn’t require potentially disabling surgery was available in Japan, it sounded like a myth. She went to see specialists at the two hospitals in Beijing where chordoma could be treated to get a second opinion. “They all said this proton treatment isn’t popular and the data isn’t clear, and they didn’t recommend we go, so I thought what I had found was fake,” she said. But it also sounded like hope. The tumor sat in her son’s sacrum bone, a pivotal bone sitting the bottom of the spine, which connects with the hips, and Yang decided they couldn’t proceed with the surgery in Beijing. She called the company whose webpage had claimed to send patients to Japan for proton therapy. Proton therapy treatment is essentially a more precise version of standard radiation therapies, in use for decades in the United States, in some European countries, and in Japan. In fact, she learned, it was fairly standard technology in those countries, even as the Chinese specialists she consulted with were dismissing it as untested and unreliable. Unlike standard radiation therapy, proton therapy didn’t damage surrounding healthy tissue. Still, it was a hard choice for Yang. She’d found the company online and was all too familiar with cases in the last couple of years where services such as Baidu, China’s equivalent of Google, took money to promote dubious medical treatments. Those scandals—most noticeably a case in which a young man died after pursuing crack treatments promoted on a Baidu-run forum—have contributed to the mistrust Chinese patients feel. So have other safety worries, such as repeated cases of potentially deadly Chinese-manufactured vaccines. While the United States is home to some of the top cancer hospitals in the world, and Chinese people often look toward the country as a standard of quality, bloated costs put many possible patients off. “I think people recognize that the U.S. probably has the best health care system in the world, assuming you can pay for it,” said medical interpreter Benjamin Ross, who has interpreted for wealthy Chinese patients in the United States. Rather than choose the United States, then, Chinese are picking Japan or Europe. Medical tourism firm XK Med says its clientele is mainly middle-class. Its fees (not including travel) start around $10,000 for a trip to Japan, which includes setting up the appointment with the hospital, a place to stay, and a translator’s services. Many of the firms target Japan and Europe, where treatment is cheap compared to in the United States, while offering the same level of quality. On average, treatment in the United States can cost upwards of three times the price of a treatment package in Japan, said Gu Xing, the founder of XK Med. Others also offer digital consultation services with top doctors in the United States for a lower price starting in the $3,000 range. There’s a real need for such services, said XK Med CEO Bi Yanan. The company started offering a medical tourism service for patients with serious illnesses such as cancer as early as 2011, and it was among the earliest companies in the sector. It’s only in the last few years that the industry has established roots, and with this has come a slew of competitors, Bi said. In the middle of the interview, she received a call from a woman who asked about treatment options for a cancer originating in the womb. Bi told her the Japanese surgeons would be meticulous in cleaning up the surgery to remove any stray cancer cells that could cause a relapse. The Chinese surgeons, or rather their aides, wouldn’t be as careful, she said, because they would have multiple surgeries in one day and more patients to tend to. The Japanese doctor would just have one surgery. Many of their clients come seeking treatments for cancers and heart problems that are not widely available, if at all, in China. One of their earlier cases in 2014, Bi said, was a 24-year-old woman who had tongue cancer. In China, the doctors told her she would’ve had to get her entire jaw removed and reconstructed. Instead, Bi’s team took her to a treatment center in California where she was treated with particle therapy. Her jaw was left intact. Wang went to the private hospitals when his father was diagnosed with a form of esophageal cancer in 2009. “We went to the best hospitals in China and went to the top experts and did the best treatment,” he said. But it wasn’t enough to save his father, who died two years later. “I was with him throughout this whole experience; it left a deep and painful impression,” he said. It led him to start his company, where patients can get treatment at top clinics around the world—provided they can pay premium prices, as a basic package starts at upwards of $150,000 at HopeNoah. Patients often are treated at top U.S. centers, including the Dana-Farber Cancer Institute and Massachusetts General Hospital. For patients, the trips offer not only the possibility of a physical cure, but emotional relief as well. 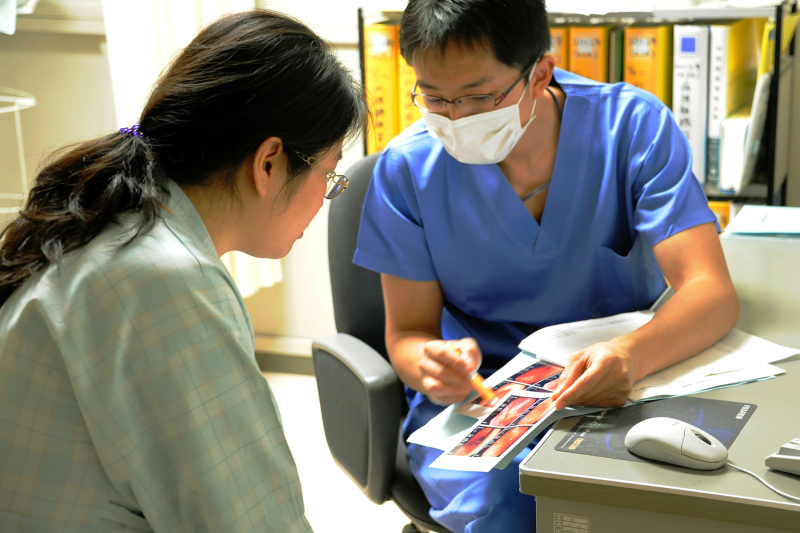 The pervasive commercialization and the deeply imbalanced division of medical resources have led to what bioethicist Jing-Bao Nie calls a “vicious circle of mistrust” where patients do not get to make informed choices about their own treatments and doctors are “paternalistic.” The reason that more and more Chinese are choosing to go abroad for care is because they have a deep need for “their rights and dignity as patients being better respected,” Nie, a professor at the University of Otago in New Zealand, said in an email. Wang Bo, a 41-year-old from Guangdong, took his 3-year-old daughter to Japan for treatment in 2015 for rhabdomyosarcoma, a childhood cancer. He said the difference was simple, but noticeable. On July 16, Yang and her son arrived in Chiba, a city about 25 miles outside of Tokyo. They saw a doctor the next day, with the help of an interpreter. The treatment, along with the consultations, took roughly six weeks. During these weeks, she found company in other Chinese families who were also there for treatment. In the morning, they took their relatives to the hospital for treatment. Sometimes, they ate lunch together, she said. Other times, they chatted about how the treatment was going. She spoke with me on the second to last day of her trip. I asked her if she thought the experience was worth the price. “How can I say this? Even if it was in China, who don’t you have to pay to get some help?” she said, referring to a commonly accepted practice of giving a hongbao, a red envelope or bribe, to doctors to ensure they treat patients well. Yang paid 388,000 renminbi, or about $60,000, for the treatment in Japan.